Chaga and Reishi Coffee blend is a combination of traditional Arabica coffee with chaga and reishi mushrooms many love around the world. Chaga and Reishi coffee is a great way to wake up. You’ll get the natural boost of energy and additional health supportive benefits not associated with traditional coffee. Never go back to regular coffee again once you try our innovative coffee mushroom blends. For great coffee flavor without the regular jitters associated with typical coffee beverages, this blend is as good for you as it tastes. Our mushroom coffee is a unique combination of organic Columbian Arabica coffee, freeze-dried chaga extract, and organic reishi or cordyceps extract. 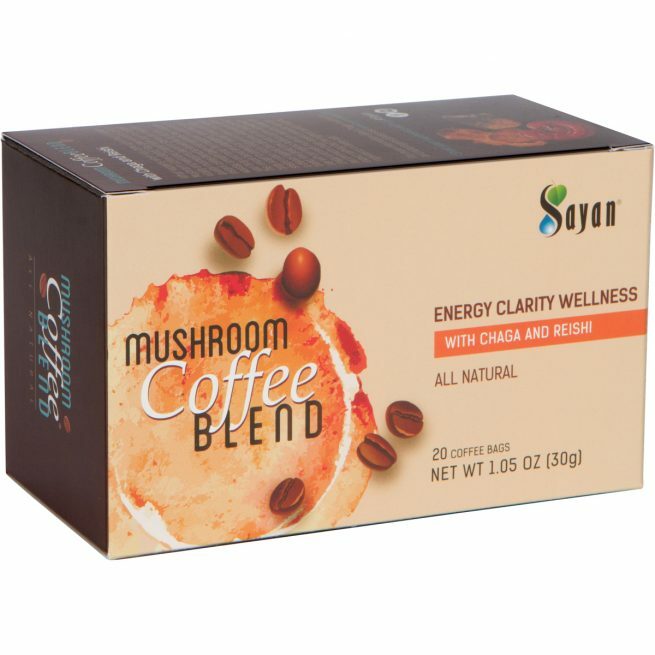 Thanks to the health-supporting properties of the mushrooms and the natural vigor of coffee, you’ll quickly add this exclusive, healthy beverage to your morning routine. An increasingly well-loved product around the world, Sayan coffee mushroom blends are just what you need for that pick-me-up throughout the day. Many customers drink this invigorating beverage many times per day, savoring the taste of 100% Arabica coffee, smooth notes of mushroom, and the subtle energy lift they get from the caffeine and mushroom nutrients. Conveniently packaged in single-serve envelopes, our blends are also easy to brew and take on the go. All you need to do is add the instant coffee packet to seven ounces of boiled water in your favorite mug, stir, and enjoy. You may need to add sweetener to taste. 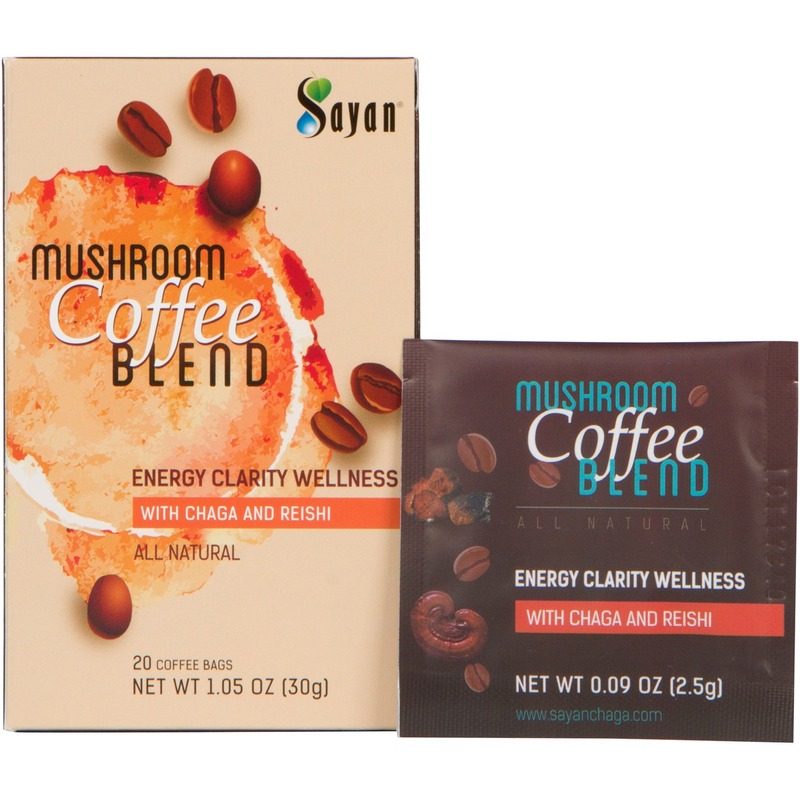 We offer two varieties: coffee with chaga and reishi or coffee with chaga and cordyceps. 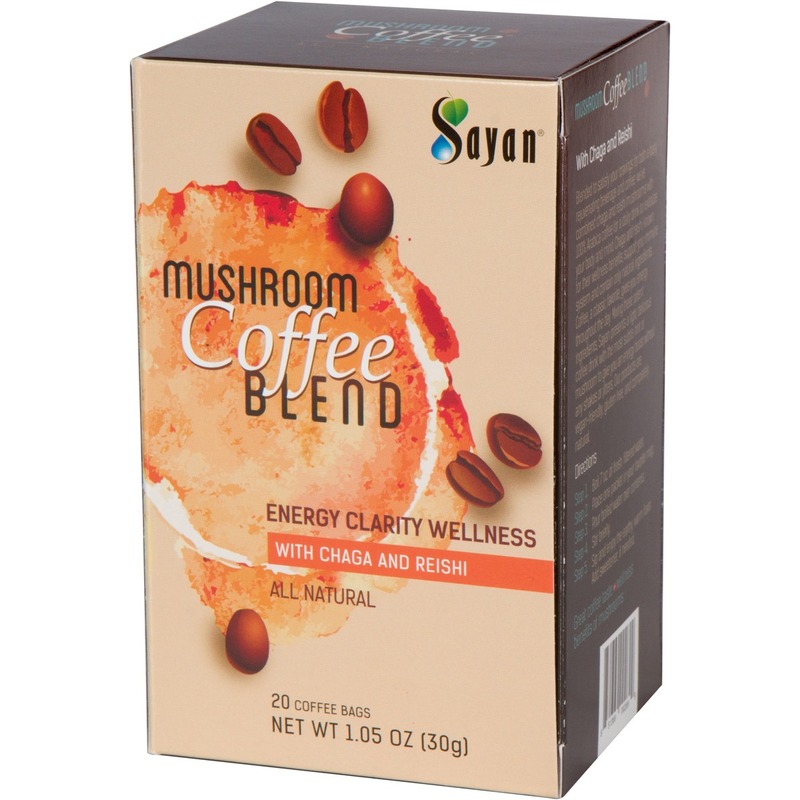 Each type of mushroom (chaga, reishi, and cordyceps) offers its own value to the blend. As the central ingredient in many Sayan products, the chaga mushroom has been a beloved part of Siberian folk medicine for centuries. We proudly have brought this little fungus to the Western hemisphere by way of our many chaga-based beverages, dietary supplements, and other items. 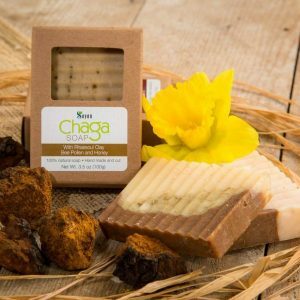 Chaga is also known to contain a rich source of antioxidants and numerous minerals and vitamins, all contributing to supporting overall well-being, strength, and energy. 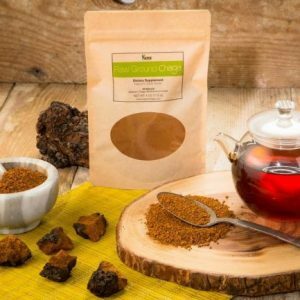 Chaga is also a valuable source of adaptogens, which are substances that allow the body to adapt to stress. 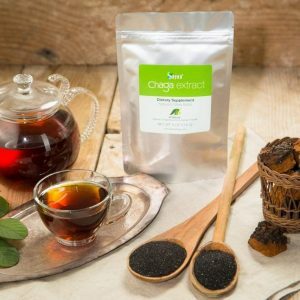 Housed within the charred-looking, black appearance of the chaga mushroom is a treasure trove of adaptogens that can help your body support immune function, increase mental focus, and moderate mood imbalance. Reishi is a mushroom with a rich, long history in Chinese folk medicine. Regarded for its ability to inspire strength, vigor, and longevity, reishi also helps support the immune system. Paired with coffee and chaga, it acts as a perfect complement to the other potent ingredients in this blend, allowing for a smooth, earthy taste (without a real “mushroom” overtone) that provides you with energy and focus throughout the day. Also known around the world for its beneficial properties, cordyceps is a peculiar fungus found in the high mountain regions of China. Thought to promote longevity and liver function, this powerful mushroom holds a high place of honor next to the other mushrooms featured in this blend. Know you’re contributing to your well-being when you drink this silky, restorative combination. 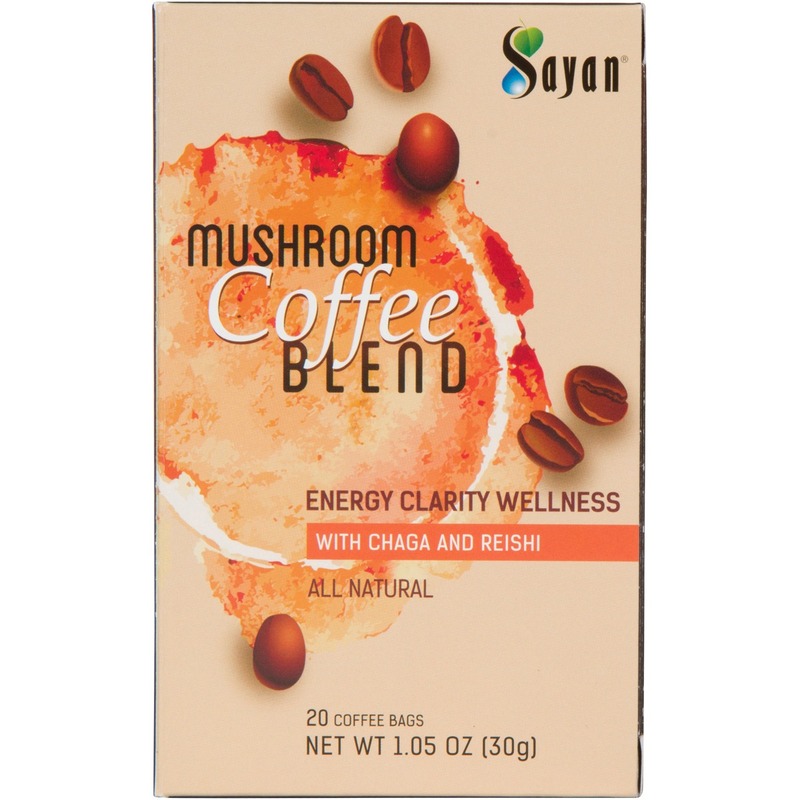 Why choose Sayan’s mushroom and coffee blends? We guarantee that you’ll be drinking only the highest quality ingredients found in Siberia and Asia. 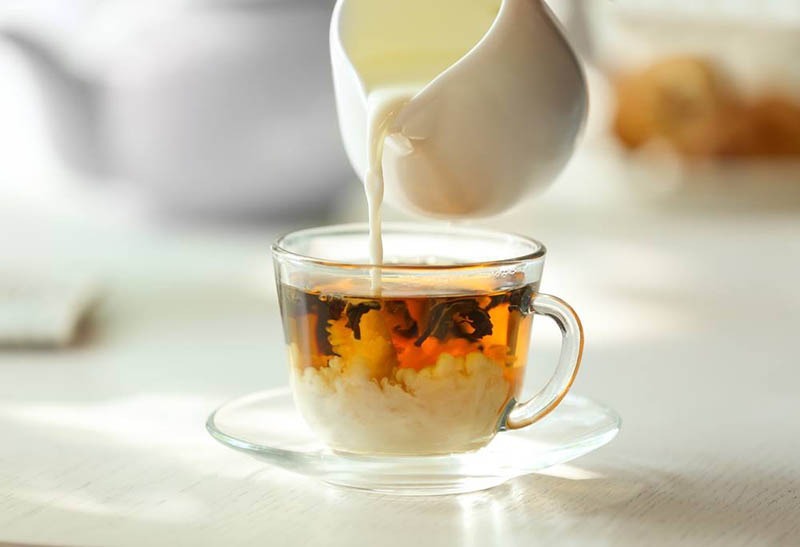 Utilizing a proprietary extraction method, the reishi and cordyceps extracts contain an optimal degree of nutrients so you know you are getting the true potency of the mushroom in every cup. Our chaga extract is generated using a hot-water extraction method, which also preserves the wellness-supporting nutrients of the fungus. All our products are gluten-free, organic, vegan-friendly, and completely natural without any GMO ingredients or fillers. Also, while other companies may mix additional herbs into their mushroom coffee products, our blend contains only coffee and the featured mushrooms, making it a truly unique product.As a result, the blend you drink and enjoy is designed to help you feel energized, healthy, and vibrant all day, every day. I love this company and their products. I have been purchasing from Sayan Health since 2016 and I have never been disappointed with any product I have purchased. So Sayan Health does it again, Great product and well packed. 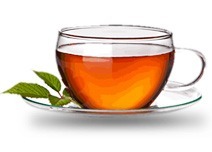 Mix with hot water, very soothing no bitter or unpleasant taste… Love It!! Wow… Just Wow.. This is my new favorite. This is by far one of the best coffees I’ve ever had! So delicious.. Tastes fantastic and it gave me so much energy and clarity without the jitters I sometimes get from regular coffee. 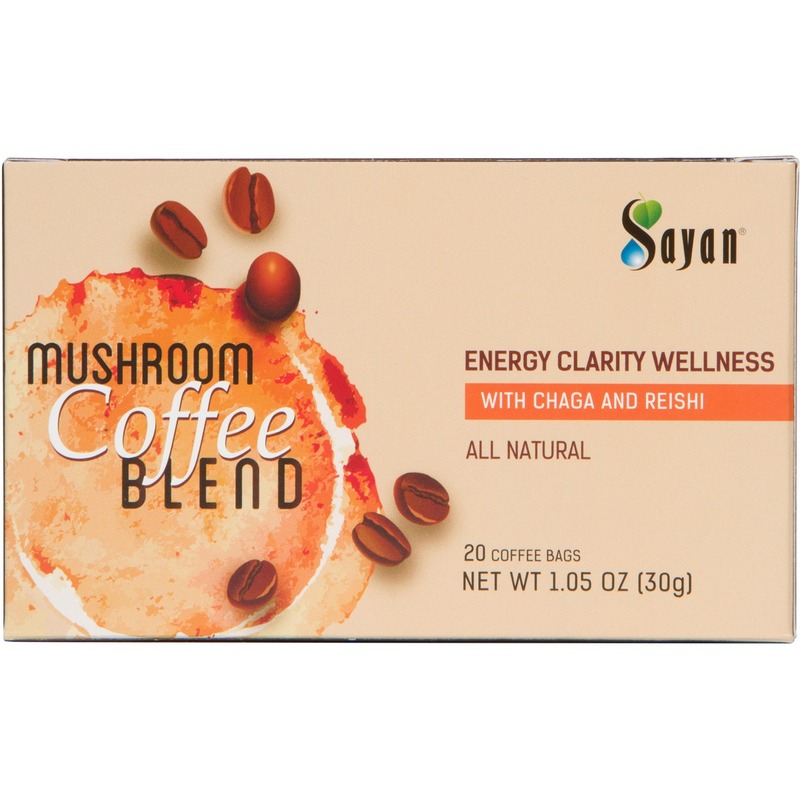 I would definitely recommend trying this mushroom coffee out! Great instant coffee for on the go.. This is really good instant coffee. A good and quick way to get rid of early morning brain fog. Best part is it’s instant energy boost and pleasant taste. I gave some to my son in law and he really enjoyed it as well! I usually consume at least two cups every day. To be honest, this particular cup is the most unique I have ever experienced. It gives me an instant natural boost of energy throughout the day and I am able to work and concentrate much better at my work. No bitter and unpleasant taste, a must have for lazy mornings! Highly Recommended! The best coffee blend I’ve tried in my life so far… It gives a subtle but noticeable boost in mood, immunity and balancing blood sugar. Its availability in powder form makes it extremely simple for me to add into my coffee mug and sip quite early in the morning. I couldn’t resist having a cup of coffee every few hours. In just few weeks, I am noticing significant improvements in both my mental and physical performance. 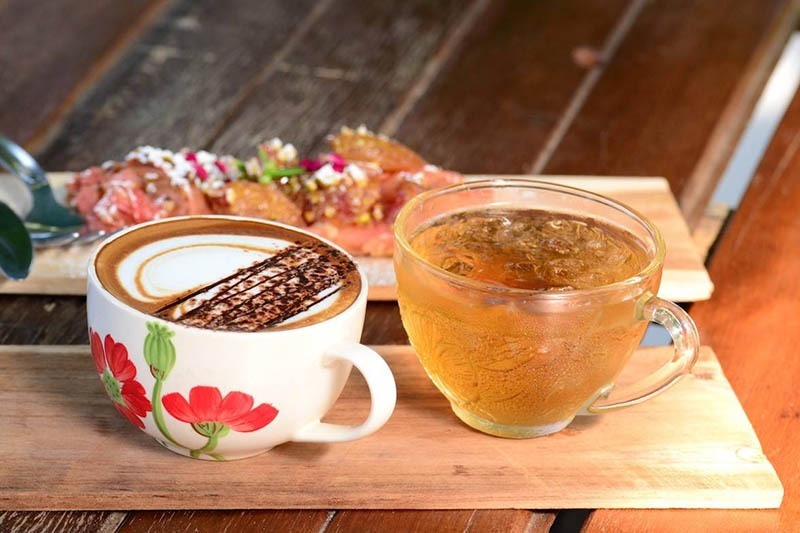 Delicious, nourishing and filled with medicinal benefits, who would not like it to add into their morning routine? Until recently, I haven’t been much of coffee drinker; the sensational aroma reminds me that it’s time to have another cup that too with surprisingly advantageous effects on health. Adding the blended powder into a cup made is so delicious that it is difficult to go back to regular coffee after that. During my migration, I had a troubling episode in relation to my patchy skin but I was pleasantly surprised to stumble upon this medicinal mushrooms coffee extract. I hope like me, many of you will probably enjoy this surprisingly delightful beverage to begin your day. 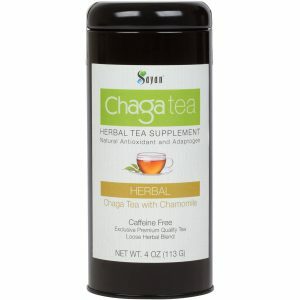 Integrating chaga into my diet changed my health.